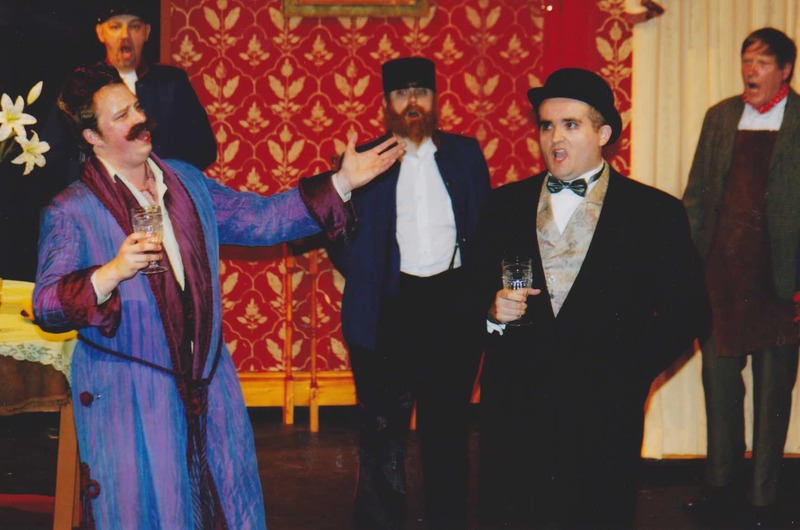 The next show on the Five Year plan was Die Fledermaus, but it would prove to be a problematic production. To begin with, nobody wanted to direct it – numerous people were approached but it took a chance meeting on a train between Shaun Dodimead and a lady who helped with make up for EOMS Juniors – her husband lectured on Performing Arts at Southampton Institute and he (John Barlow) was duly invited. Robert Venn had been keen to MD the opera but pressures of work interfered with his plans, so Martin Paterson added another SOS show to his ever-growing collection. The next problem was that not many wished to be in the production, including some committee members who had voted for its selection. This particularly annoyed Adam Case (who had advised against the choice but considered it his duty as Chairman to be involved). However, arms were twisted and eventually a chorus, including six men, was raised (two non-singers who were also drafted in to help fill the stage). A bigger problem still was that not many of the public wanted to see the show. The feedback on rehearsals suggests that they were a ‘bit flat’ and involved too much standing around and changing scenes that had already been set. John was used to working with professionals and had expectations that the company would put in the effort without being pushed and know what to do without being told – in reality, many were still using their books as opening night drew near. 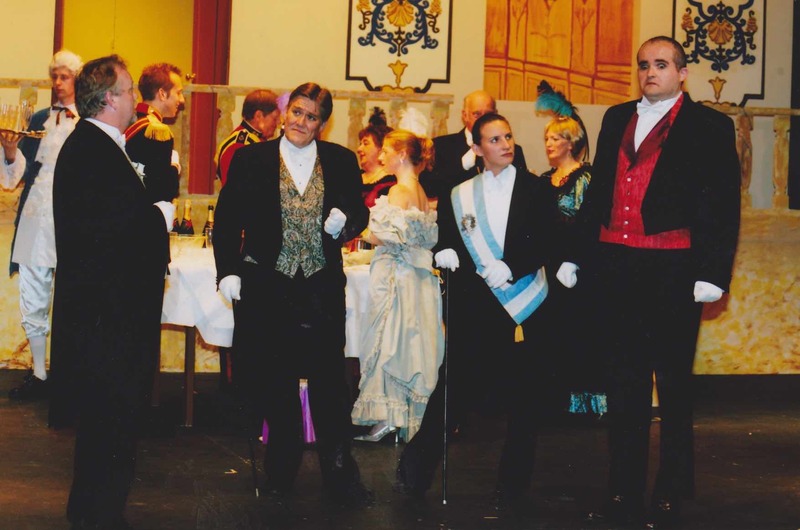 He was much happier with the principals and he had a strong cast to work with; including, Peter Barber (Falke), April Luescher (Rosalinde), Paul Webb (Gabriel) and Alexandra Dunn (Orlovsky). A performer does appreciate a director who gives guidance and corrects any errors, but some of the notes John made in his Dress Rehearsal notes were splendid and have entered SOS folklore; apparently, Phil Cheesman was asked to re-invent his character (Blint) for tomorrow whilst Nick Williams was told that he looked like he was dead! The Echo reviewer overlooked the Birmingham accent used by Mike Pavitt as Frank, the Austrian Prison Governor, and wrote: ‘The company performed and sang well but the show lacked that touch of magic and sparkle that makes a production special. However, there were highlights. 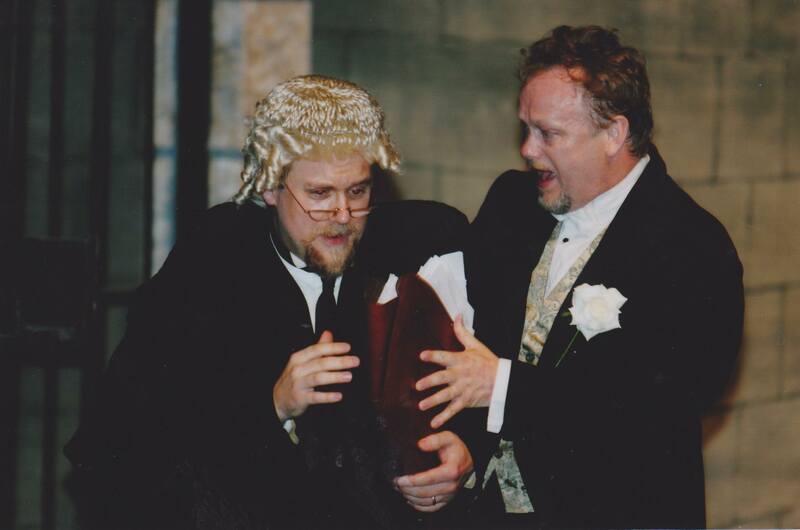 Under the musical direction of Martin Paterson the singing was excellent, especially from the principals. 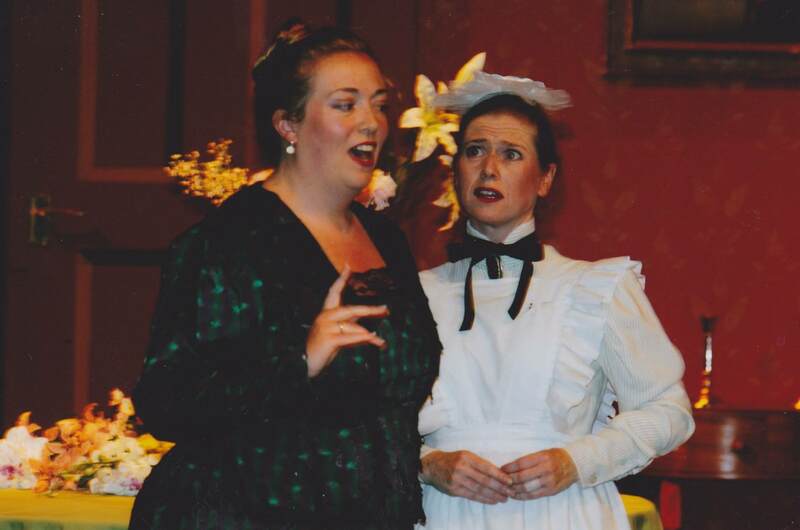 The maid, Adele (Marie Creed–Helliwell), had a superb voice and generated a great deal of impish fun. 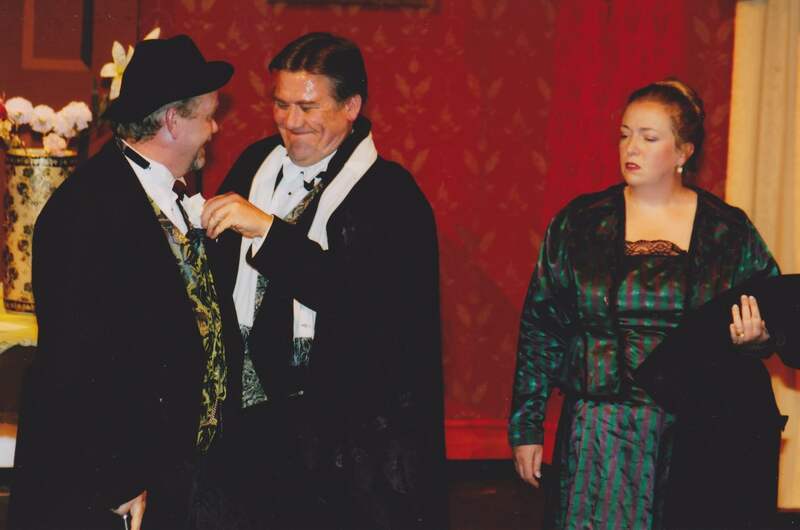 The would-be lover and opera singer, David Tatnall (Alfred), gave an energetic performance. 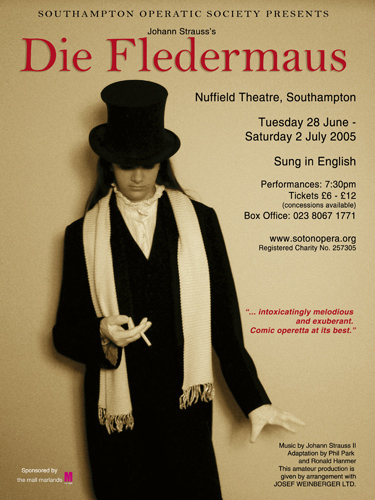 Past productions of Die Fledermaus have not really tempted the Southampton public and have lost £4239 (1985) and £10552 (1993). 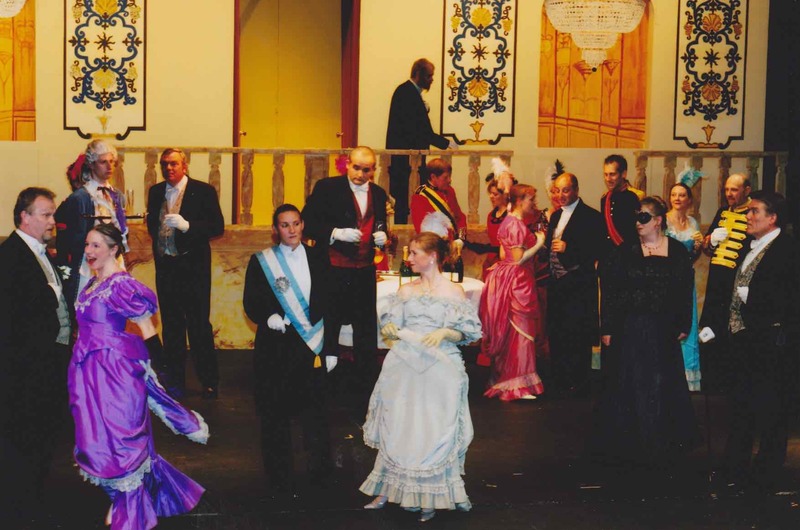 Sadly this effort did not fare well either, the chance to get flyers to a Strauss Gala at the Guildhall in February was missed and only £7500 was taken at the box office, leaving the Society owing money to the Nuffield before paying any other bills. The show made a loss of £6230.